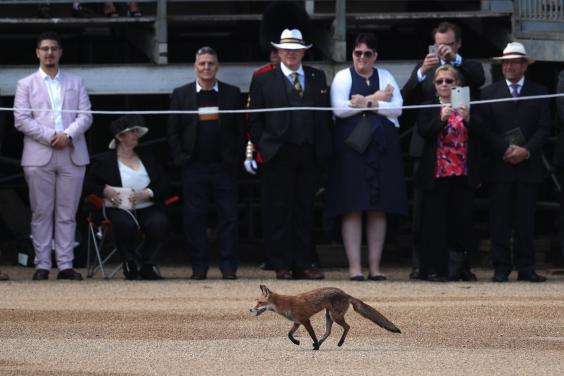 A cheeky fox delighted Royal fans as they waited to catch a glimpse of the Queen during her annual birthday parade. 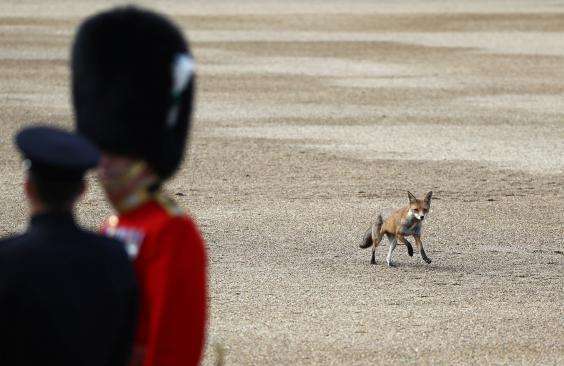 The creature ran onto Horse Guards Parade as hundreds of people began to gather for the start of the Trooping the Colour ceremony. 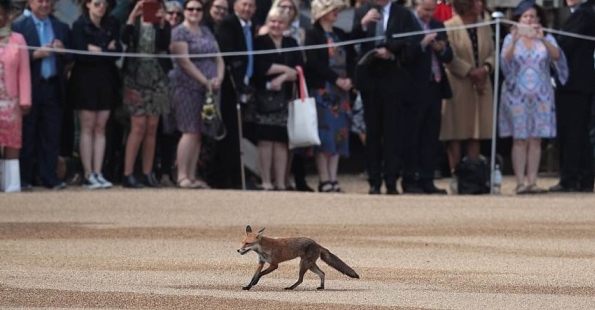 The fox darted out from under the stands as it searched for a way into nearby St James's Park. 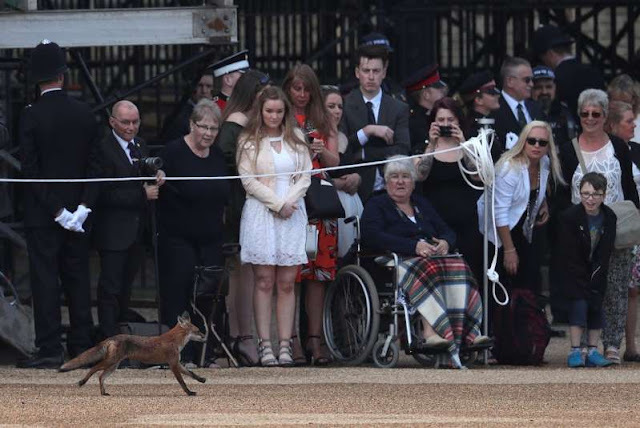 Newlyweds Prince Harry and Meghan Markle were among those to join the 92-year-old monarch’s carriage procession exactly three weeks after their wedding. 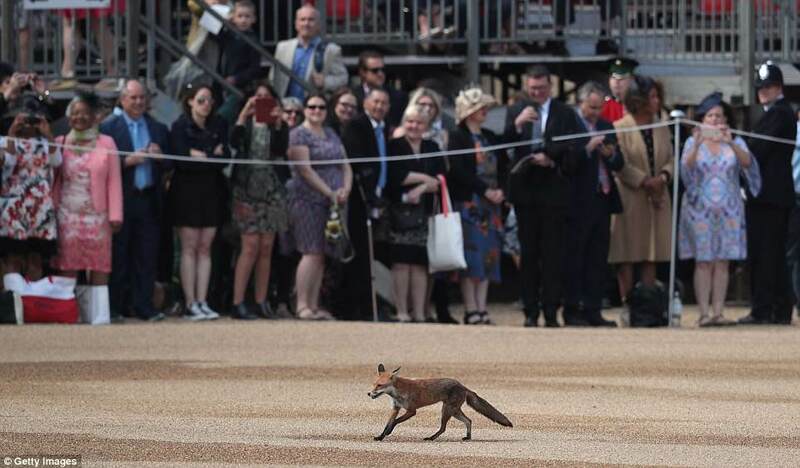 The Queen travelled down the Mall alone without husband Prince Philip to celebrate her official birthday. The annual event see's more than 1,000 soldiers taking part in the traditional display of pomp and pageantry. The colour being paraded this year is the flag of the 1st Battalion Coldstream Guards. Responses to "Cheeky Fox Steals The Show at Queen's Birthday Parade"